Jeff Glucker March 21, 2018 Comment Now! Porsche loves cranking out Top 5 videos. Usually though, it factors in five models that fit a given topic. Today's different because the sole attraction in this Porsche video is the 2018 911 GT2 RS. We still have five things to talk about. 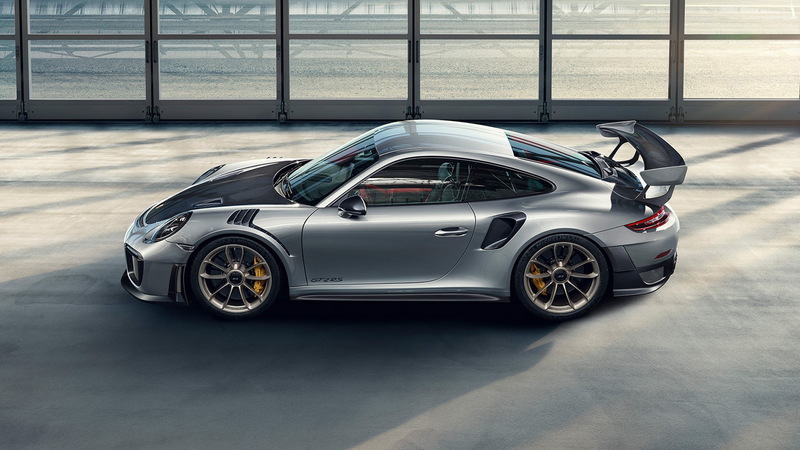 So let's dive into the Top 5 thrilling attributes on the GT2 RS. Porsche test driver Lars Kern is in the driver's seat of a silver and black example. Instead of heading to a full-size circuit to share his knowledge of the car, Kern sidetracks to a go-kart track. In fact, he gets very sidetracked because drift mode is in full effect in this video. Lars walks us through the meat of the video by doling out the sports car facts. The 2018 911 GT2 RS is the fastest production car to set a time on the Nürburgring. When the clock stopped on that dramatic run, the timer read 6:47. A driver can set that sort of time thanks to the design and aerodynamics of the car, which are in fact starting off this list in spot number five. On the outside, this is clearly a 911. However, the bodywork is far more dramatic and fitted with NACA ducts, rear intercooler ducts on the fenders, and a park-bench rear wing to keep the rear wheels planted. That's important considering the 911 GT2 RS produces 700 horsepower and is rear-wheel drive. This rear wing, paired with the rear diffuser, is able to generate nearly 900 pounds of downforce. A Porsche 911 is nothing if it doesn't have the sound to match fury. That's why aural excitement sits in the number four spot on this list. The engineers building the car examined classic Porsches to find the right noise. When you're inspiration is the iconic 935, you know you're looking in the right place. 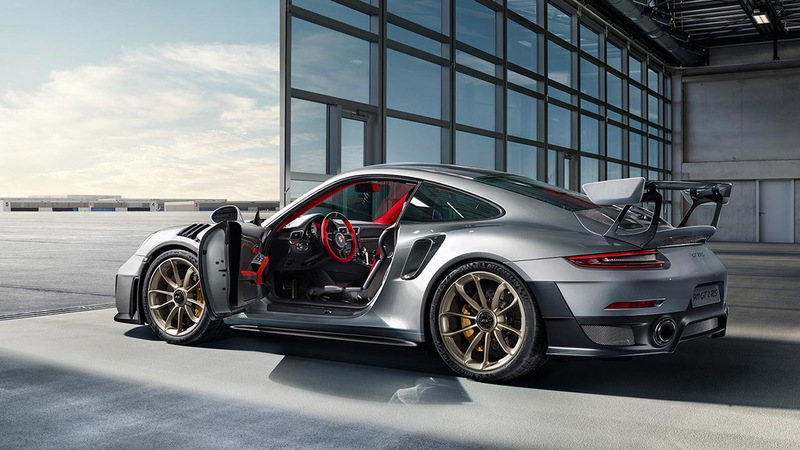 The 911 GT2 RS also have to be lighter than the standard car, which is why its lightweight features figure in at number three. 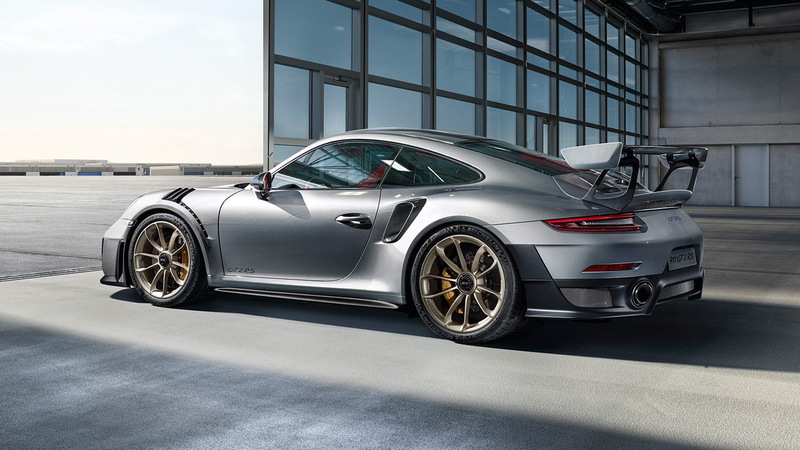 Porsche have fitted the GT2 RS with a carbon rear wing, hood, and fenders, a magnesium roof, and lighter glass in the rear. Adding that lightness is key to adding speed and overall performance capability. Once you start adding up all of the engineering greatness built into this car, you still need to make sure it's a superstar out on the track. With all of that power on tap, you need responsive steering and throttle action. You'll want a transmission that's up to the task, such as the PDK dual-clutch 'box. Basically, you don't want a machine that's eager to send you on a rear-facing collision course with the guardrails. 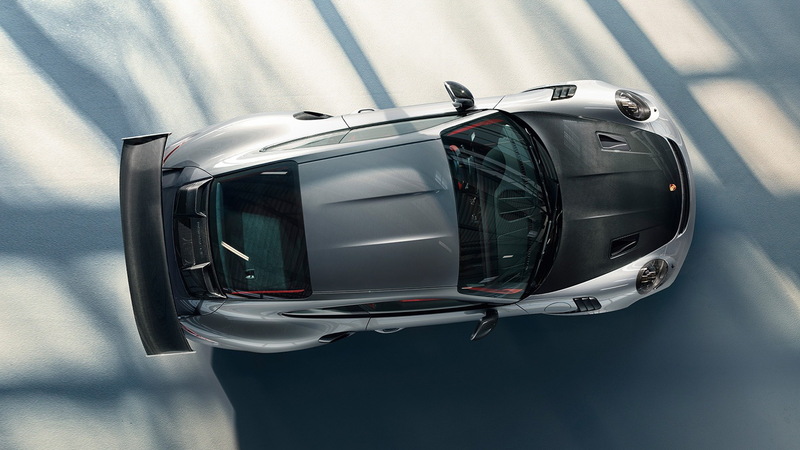 Finally, the number one most thrilling attribute of the 911 GT2 RS is the engine itself. Lars opens up the rear cover to show off a little bit of the mighty mill before ripping off around the go-kart track. He describes the acceleration as "brutal", and we're inclined to agree. The Porsche 911 GT2 RS might be the greatest 911 ever built. Maybe Porsche needs to do a Top 25 for a car like this? Regardless, click play and soak in all of the GT2 greatness.